WordPerfect's Windows Explorer preview tool has improved, but using it still isn't especially easy. Talk about the loyal opposition: Corel WordPerfect Office X6 continues a long tradition of competing with Microsoft's powerhouse Office suite by giving particular groups of users assorted features (some new, some simply popular) that they won't find in Office, while maintaining compatibility with Microsoft's ubiquitous formats. Its slightly lower prices (for comparable editions) don't hurt, either. For all the buzz about Web-based productivity alternatives, many people (and businesses) are still more comfortable with desktop software, and Corel clearly courts such users who are looking for a Microsoft Office alternative. WordPerfect Office X6 isn't a major overhaul--the new features, including multiple-monitor support and the ability to create ebooks in the Amazon Kindle .mobi format within WordPerfect X6, are hardly jaw-dropping. But the suite has a slew of tweaks that certain users will welcome. Along with the core applications--WordPerfect for word processing, Quattro Pro for spreadsheets, and Presentations--Corel packs in an array of other programs and utilities, most notably the WordPerfect Lightning note-taking app (a OneNote alternative), the Nuance PaperPort SE document manager, and (in the Pro and Legal editions) Corel PDF Fusion, a handy utility for managing and generating PDFs from multiple file types regardless of whether you have the applications used to create them. Corel loyalists will continue to tout the control they get from the Reveal Codes feature, as well as WordPerfect's ever-strong support for legal documents, which is enhanced in this version by the ability to assign Bates numbering, the most commonly used convention for tracking legal and medical documents. That said, WordPerfect Office X6 still doesn't give mainstream Office customers great reasons to switch. It still lacks a homegrown contact manager/organizer à la Outlook (Corel provides Mozilla Thunderbird instead). The cluttered user interface, populated with multiple toolbars crammed full of small icons, is starting to look dated; even if you're not thrilled with Microsoft's Ribbon aesthetic, wrestling with dozens of tiny buttons doesn't seem to be a great alternative. Corel has improved support for previewing documents in Windows Explorer (you can adjust the zoom level, perform searches, and even print from within the preview pane), and it gives you a lot of options for customizing your workspace. But using those features isn't always intuitive. For example, by default the dialog box for opening and saving files uses an old-style hierarchical folder structure enhanced with search functions to help you track down files. But if you prefer the current Windows Explorer interface, with virtual folders such as Recent Places (which can be very useful when you're saving files in multiple applications for a single project), you must go deep into settings to choose it. Imperfect PDF support can make it impossible to fill out imported forms electronically. Also, some of Corel's most highly promoted features don't always work as you'd expect them to. 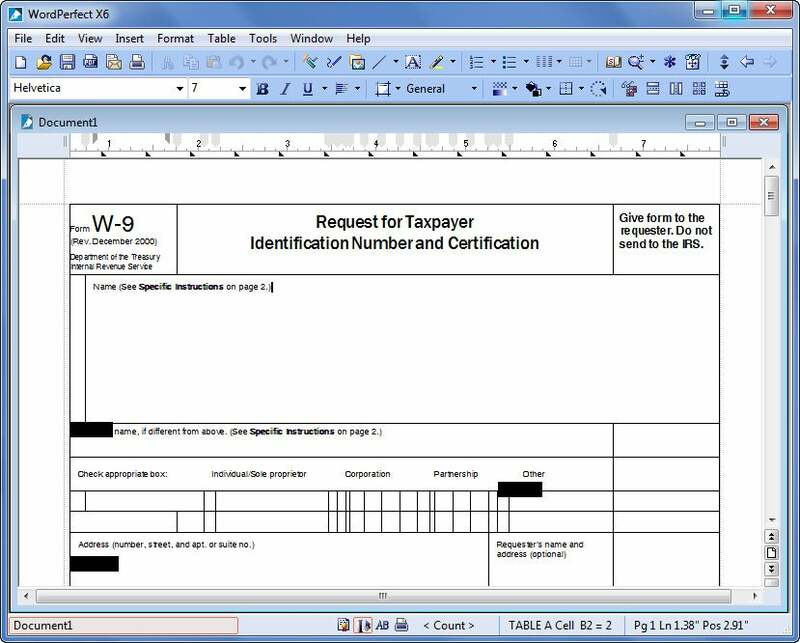 The PDF support still doesn't fully deliver on its promise: For example, when I opened a W9 form (which freelancers are required to fill out and submit to companies that hire them), the formatting was garbled to the point where I couldn't fill it out electronically. On the other hand, I did like the ability to create PDFs with a single click from within Quattro Pro and Presentations, as well as WordPerfect. The .mobi ebook-publishing feature wasn't as easy to use as I'd hoped. Creating a .mobi project brought up a window advising that I needed to tweak certain menu settings, and it wasn't until late in the process that I learned I would also have to download some software from Amazon in order to preview the ebook. The on-screen tutorial was helpful with general instructions; when I previewed my book, however, the formatting was off (text did not flow automatically, causing odd line breaks), and I was on my own to figure out how to fix the problem. Still, the ebook feature holds promise for self-publishers, especially since you'd otherwise have to invest in third-party software. A video editor in an office productivity suite? Corel VideoStudio Essentials seems like a bit of an outlier for an office suite--it's basically an Adobe Premiere Elements competitor. 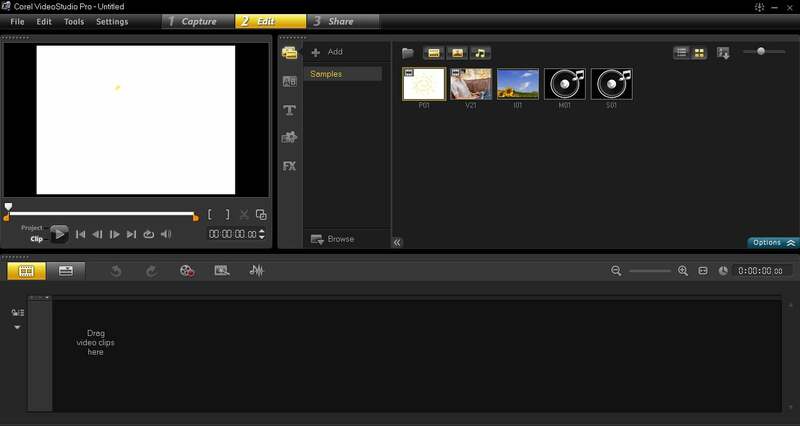 But it certainly one-ups Windows Movie Maker, and it makes for a nice bonus. The inclusion of WinZip, which costs $30 bought separately, is definitely a good deal since WinZip is far more capable than Windows' built-in zip utility. Corel hasn't done much with Quattro Pro, Presentations, or Lightning this time around; all three applications are full-featured, but recent versions of Excel and PowerPoint have pulled way ahead in making it easy to add spiffy graphics, and Lightning isn't keeping up with OneNote features such as SideNote, which lets you add content even when the full application isn't open. These applications seem to target people who prefer toolbars to the Ribbon. 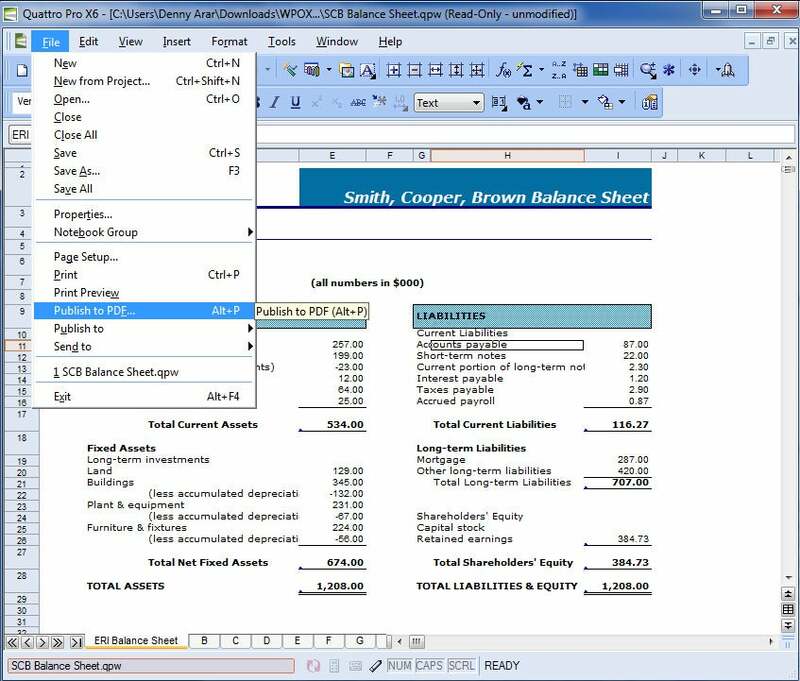 The ability to publish a PDF directly from a Quattro Pro spreadsheet is a handy feature. Corel has added an Android viewer to the previously available iPhone and iPad viewers, but none of those tools support edits or file creation. And even if you normally prefer desktop software, Web-app support for Office formats gives Microsoft a real edge. With the addition of Bates numbering support (something you must add via third-party software with Office) and, in the Legal Edition, automation for creating tables of authorities in legal documents, Corel is making a strong push to keep law offices from jumping to Office. The Professional Edition's main add-ons include Paradox (a relational database that I didn't look at for this review) and the aforementioned PDF Fusion. Corel WordPerfect Office X6 is, in short, a sprawling collection of productivity applications and utilities with scattershot functionality. You do get a lot of bang for the buck--but many people may not care about the additions, and unless you prize some of the specific new features, it's difficult to make a case for jumping ship from Microsoft Office. Corel's sprawling WordPerfect Office X6 delivers a slew of apps and utilities, plus new features that will appeal to niche audiences--but it doesn't make a great case for most Microsoft Office users to jump ship.